The Installation can be easily done by one. We recommend to mount large Wall Decals by twos. Your Wall decal on a white carrier foil covered by a transparent application tape. 9. Voila. Quite esay. Isn't it? Single-coloured wall decals are available in many different colours. You can choose the colour matching your interior design. The creative wall decals also beautify notebooks, smartphone covers or boring furniture. When revamping walls, doors or ceilings single-coloured wall decals, made from flexible quality foil, appear as if having been painted. Single-coloured wall decals consist of a special quality foil which can easily be removed without residue if you want to spontaneously redecorate your home. All parts can simply be pulled off the release paper and attached to your desired spot. The wall decals stick to all surfaces that are clean, even as well as free of dust, grease, silicone, oil based paint or latex. 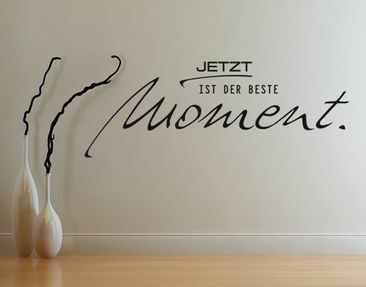 Single-coloured wall decals are moisture-resistant, flexible and tear-resistant. Due to the special high quality foil the colours look particularly brilliant. The foil is light resistant and lightfast. 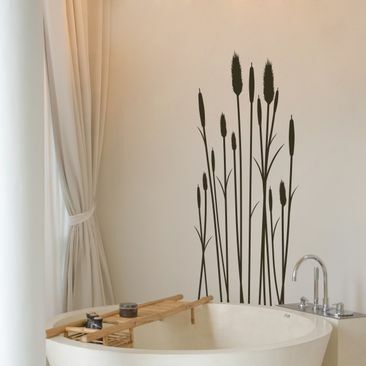 Wall decals will surely find their place on nearly every possible surface. You don’t only beautify your smartphone, mirrors or furniture but also whole living or childrens rooms. It is really simple to decorate all your favourite places with wall decals. Our wall decals also stick to unpainted woodchip wallpaper. 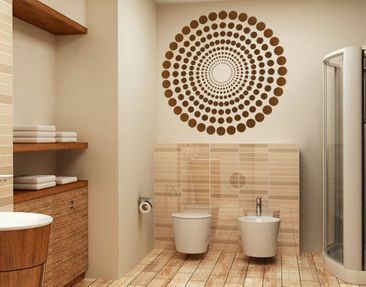 Different wall decals are easily combinable - let your creativity run free!